Well, empirical data has already shown that the increase in carbon dioxide (CO2) has made our planet greener over the last 35 years. In fact, Earth is so much greener, the increased leaf coverage could cover the continental United States twice over. If you’ve ever traveled across the US, you know that’s no small feat. Data research led by 32 researchers from 24 different institutions spanning eight countries has found that about 70 percent of these gains in green space are due to the rise in CO2 levels. In spite of these obvious facts, many climate change activists continue to rely on hypothetical scenarios rather than the raw, real-world data sitting right in front of them. As Mike Adams reports, right now the global CO2 level is actually at a record low of about 400 parts per million. In the not-so-distant past, Earth’s CO2 level was as high as 7,000 parts per million. Reducing the amount of carbon dioxide in the atmosphere is not the way to “save” the planet, especially given that it has contributed to the increased green space across the planet more than any other factor. The second highest contributor, nitrogen, is only estimated to be responsible for about nine percent of plant growth — which pales in comparison to CO2’s 70 percent. 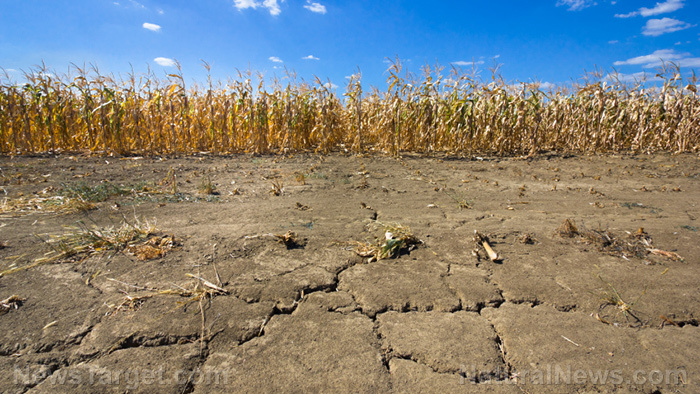 Without CO2, food crops collapse, leading to mass starvation. A wetter, greener planet means one thing: More plants, more biodiversity, and most importantly, an increased ability to sustain life for both humans and other animals. In other words, more CO2 could actually help to solve many of the problems plaguing nations across the globe. As Popular Technology explains, many people are confounding carbon dioxide with carbon monoxide and other types of air pollutants that come from factory fumes and car exhaust. Real air pollution may be a problem, but regulating and reducing CO2 will not offer relief from this issue.